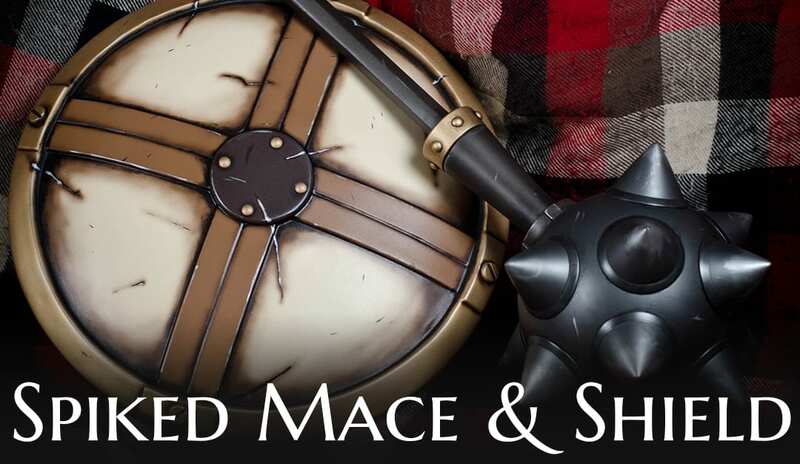 Our replica prop swords, bows, maces, axes, and more weapon builds are gathered in the collection below. 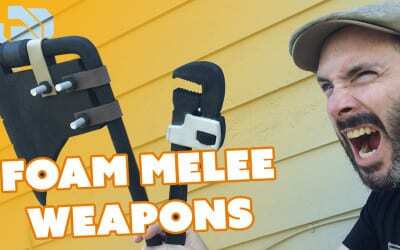 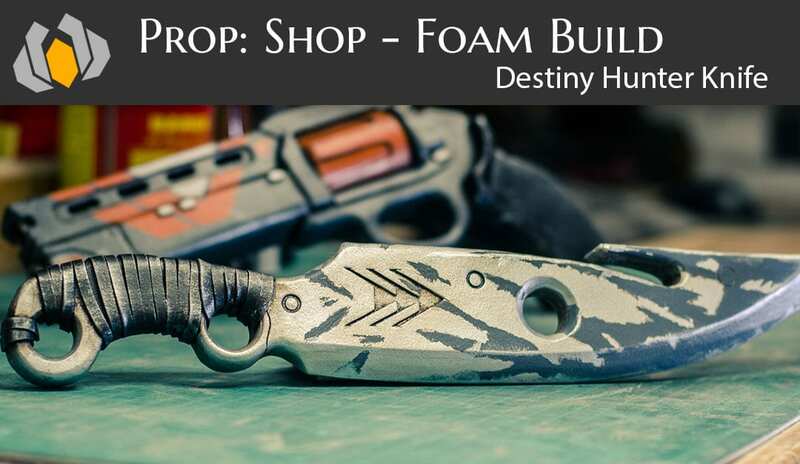 Learn how to make weapon props for your cosplay, starting with simple foam knives to complicated plastic and wood weapons. 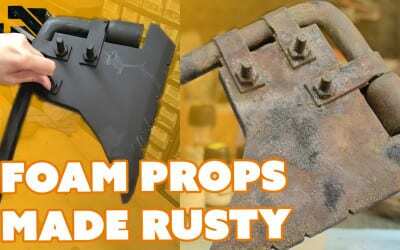 If you’re looking for prop guns, we have a collection just for guns here. 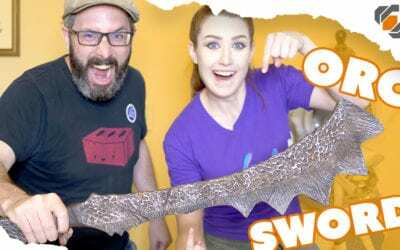 Bill and Britt each made their own Harry Potter style magical wand props. 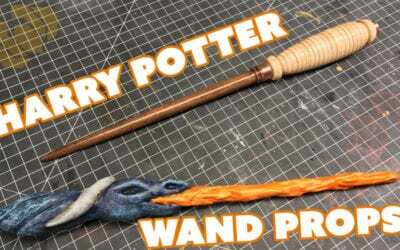 They each used completely different tools and techniques to create their own unique, personalized wizard implement. 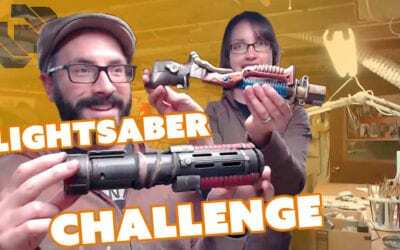 Bill dusted off the lathe to make his wand from hardwoods and Britt made hers from Worbla! 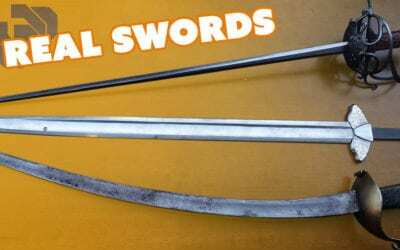 While we were in New Zealand, Chris showed us some of the swords he’s crafted. 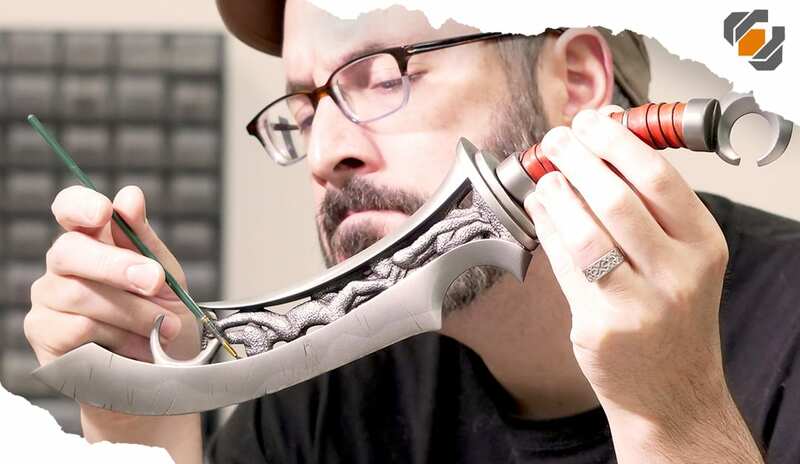 Chris explains how he made a wooden sword, his detailed metal sword, and plans for his current work in progress. 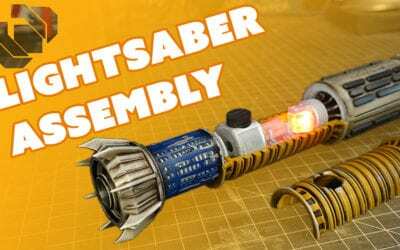 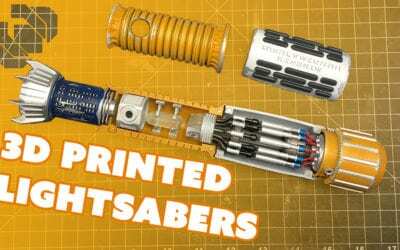 Joel the 3D Printing Nerd joined Bill in the shop to put together and paint some really amazing 3D printed lightsaber kits designed by Sean Charlesworth. 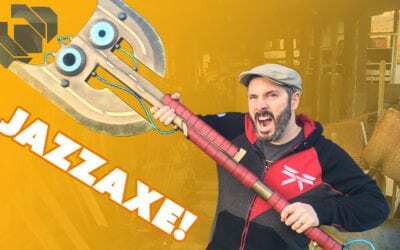 We teamed up with artist Jazza to build a prop axe of his design. 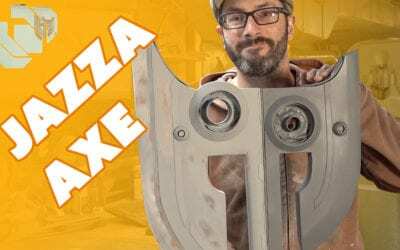 This super fun collaboration shows what kind of epic build you can cook up when you collaborate with an amazing designer. 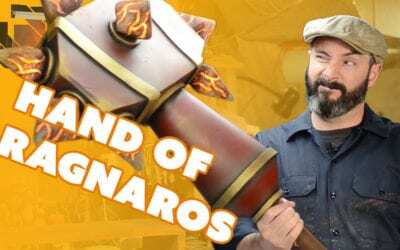 Bill never got the Hand of Rag when he played WoW back in the day, so instead he built it for himself! 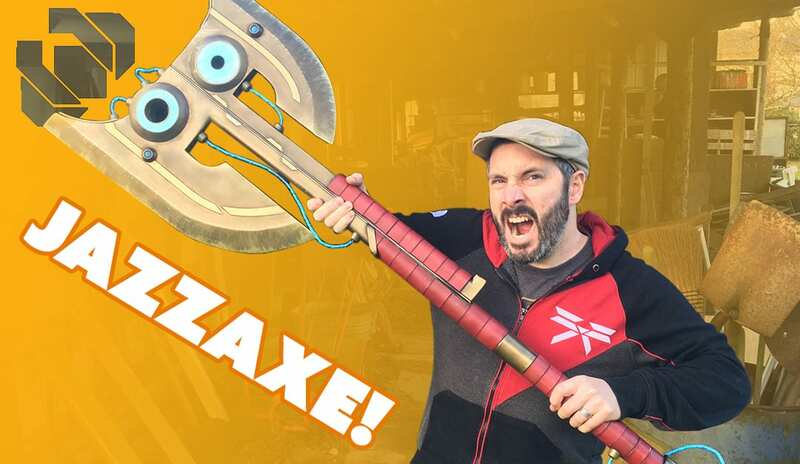 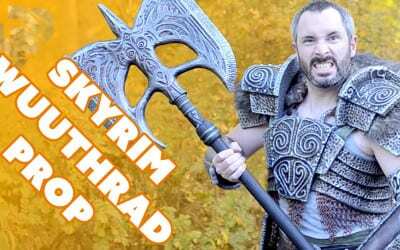 Follow along in this tutorial as he makes this legendary mace from World of Warcraft.